My name is Keith Haney. The writer and architect of this blog journey. Candidly I am a pastor, but you will find no judgment, only encouragement at this site. I am not sure how you stumbled upon this blog. Maybe you were seeking ways to help your congregation better reach its neighborhood. Or you were looking to grow as a leader. It’s conceivable the system and culture are crushing you, and you need consolation. If inspiration is what you are pursuing you will find it here, if you want to grow as a leader, I will challenge you to do that. If you want your church to just improve and add people in the pew, this blog may not be suitable for you. The world is changing and our old ways of connecting isn’t working. 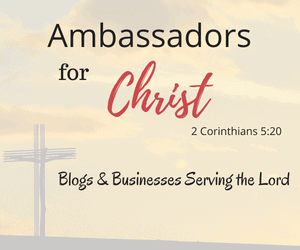 This blog will test your traditional views of church and ministry, it may stretch you beyond your comfort zone. So, if you read, follow and share its contents with your leadership I hold no personal responsibility for the metamorphosis you may experience or the stress and transformation you may thrust upon your leadership. Some categories to avoid if you want to read this blog safely. Avoid the section on Millennials. It is based on actual research and verified by my Millennials friends. It will ultimately alter your misconceptions about this passionate, missional generation. You will discover why they are just passing on the local church in alarmingly large numbers. The post entitled, “A Worship Style That Connects With Millennials” will cause you to abandon many of your Millennial worship initiatives. And, you will want to not click on any of the leadership sections. There is one there entitled, “Leadership 101: You Can’t Stop Stupid, and trying to fix Stupid Hurts.” Leadership is a passion of this pastor. I believe it is the one thing holding the church back from entirely being what God created Her to be, a dominant force for change in the hearts and minds of today’s culture. This blog also tackles the difficult often ignored issue of racial division in America. The writing on this topic led to a Bible Study, published in 2015 by Concordia Publishing House, entitled “Healing One Nation Under God: Healing Racial Divides.” It will challenge your conventional ideas about race while providing Biblical solutions to a complex issue. There are safer places to surf while visiting this site. The devotions and sermon starters while challenging and insightful dangerous in that the Word of God itself points out our sins put also leads us into the arms of God’s grace and forgiveness. Read, inwardly digest at your own risk. It is all based on the Word of God so blame the spirit for any transformation. This content was created to share. Every day is a share-a-thon. Share away. We can help shape the future of the church together. ← Why the Church Must Reconnect With The City? Good piece – love the title! Thank you Martha. Trying to rebrand the blog. Good post about transforming the church. Look forward to reading more. Brother this is a very good article, I enjoyed the read so I am going to reblog this fro you. Hopefully in doing so a few more readers will come upon your site. Thank you for the kind words. I look forward to reading more of your work. Great post! Thank you for sharing and inspiring! Thank you for reading. May you have an awesome day. ANY PASTOR WHO IS A FRIEND OF CHRIST IS A FRIEND OF MINE! HALLELUJAH! Loved this posting and can’t wait to read more.